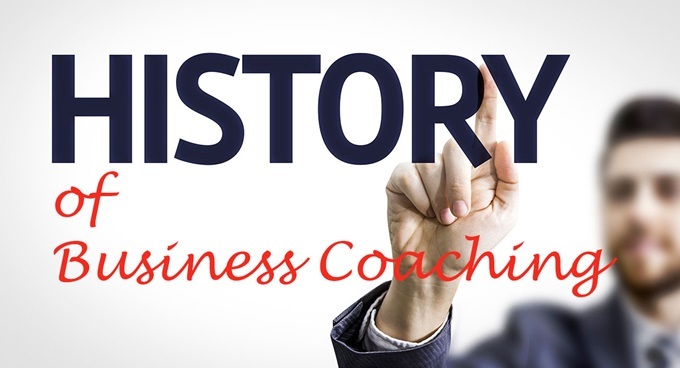 In order to understand the history of business coaching, it’s important to go back to the history of coaching itself. No, we’re not going to take you way back to ancient Greece when athletes running from Athens to Marathon had physical and spiritual guides. But we’d like to start at the point when the idea of coaching travelled from the realm of sports to life. In 1970s, American author Timothy Gallwey published a series of books called the inner series. In these books, Gallwey put forth a set of new ideas on coaching and achieving all-round success in sports like Tennis and Skiing and other professions like music that require rigorous self-discipline and inner strength. Gallwey’s model was so popular that even non-athletes started applying it to their personal and professional lives. The American corporate world was so fascinated by Timothy Gallwey’s ideas that he was invited all over the United States to lecture business people. Over the years, several thinkers like Werner Erhard and Thomas Leonard, both Americans, helped spread the idea of business and life coaching in the U.K. and across Europe. However, it was Sir John Whitmore who is largely credited with applying Timothy Gallwey’s original ideas to business coaching. So what was is The GROW Model? In today’s world it seems quite simple… This could in fact be testimony to how popular and ubiquitous it has become. Most businesses apply the GROW model almost instinctively. Of course, business coaches fine tune and adapt these coaching ideas for specific business needs and the demand for this skill continues to grow. John Whitmores’ GROW Model an acronym for Goal, Reality, Options and WILL. IBM, Coca-Cola, and Procter & Gamble are just few of the companies that have used the GROW model over the last few decades. In fact, it was IBM that really tipped the scales in the favour of business coaching. In the 90s IBM was one of the biggest brands in the world. It continues to be a big brand but at that time it was a major influencer, the rock-star of the corporate world, like Apple Inc. is today. So when IBM adopted business coaching the world of business in almost every developed country, including Australia, took notice. However, another crucial factor that spread business coaching among Fortune 500 companies and others in the 90s was the transformation of individual professional behavior and corporate behavior. Down-sizing became the norm as ‘lean and mean’ was widely adopted as a good motto. Today, it is not only the big corporates that have embraced business coaching but also the small and medium businesses. During the economic downturn, fewer companies spent on ‘non-essentials’ and many slotted business coaching in the category. However, entrepreneurs and managers needed more help than ever in running an effective business with smaller teams and budgets, and yet keep their collective morale high. The groups that did continue to work with business coaches had an external support system when it was needed the most. As the global economy recovers, however slowly, business coaches can be credited to have helped hundreds of businesses around the world to get through the tough times. Find out more about Business Coaching and how a coach can help you GROW your business.